One Owner!! Low Miles!! Leather Interior!! Heated Seats!! Navigation System!! Premium Sound System!! Xenon Headlights!! Parking Sensors!! Keyless Drive!! Bluetooth!! Sirius/XM Radio!! Super Clean!! Outstanding Value!! Call our sales team at 888-598-5227. One Owner!! Low Miles!! AWD!! Leather Interior!! Sunroof!! Heated Seats!! Navigation System!! Backup Camera!! Blind Spot Information System (BLIS)!! Parking Sensors!! Keyless Drive!! Bluetooth!! Sirius/XM Radio!! Super Clean!! Excellent Value!! Call our sales team at 888-598-5227. AWD!! Volvo Certified Pre-Owned 5-Year Unlimited Mile Warranty!! Leather Interior!! Sunroof!! Heated Seats!! Navigation System!! Bluetooth!! Sirius/XM Radio!! Super Clean!! Excellent Value!! Call our sales team at 888-598-5227. One Owner!! Low Miles!! AWD!! Certified by Volvo 5-Year Unlimited Mile Warranty!! Leather Interior!! Sunroof!! Heated Seats!! Keyless Drive!! Bluetooth!! Sirius/XM Radio!! Super Clean!! Outstanding Value!! Call our sales team at 888-598-5227. One Owner!! 2015.5 AWD!! New Tires!! Certified by Volvo 5-Year Unlimited Mile Warranty!! Leather Interior!! Sunroof!! Heated Seats!! Navigation System!! Bluetooth!! Sirius/XM Radio!! Super Clean!! Excellent Value!! Call our sales team at 888-598-5227. One Owner!! Low Miles!! AWD!! Certified by Volvo 5-Year Unlimited Mile Warranty!! Leather Interior!! Sunroof!! Heated Seats!! Navigation System!! Blind Spot Information System (BLIS)!! Backup Camera!! Parking Sensors!! Keyless Drive!! Bluetooth!! Sirius/XM Radio!! Super Clean!! Excellent Value!! Call our sales team at 888-598-5227. One Owner!! Low Miles!! AWD!! Certified by Volvo 5-Year Unlimited Mile Warranty!! Leather Interior!! Sunroof!! Heated Seats!! Navigation System!! Backup Camera!! Adaptive Cruise Control!! Parking Sensors!! Blind Spot Information System (BLIS)!! Xenon Headlights!! Bluetooth!! Sirius/XM Radio!! Super Clean!! Great Value!! Call our sales team at 888-598-5227. CARFAX One-Owner. Rear Backup Camera, Leather Interior, Heated Seats, Bluetooth Hands-Free Phone System, We offer a full range of financing solutions, and Trade-ins are welcome, S60 Inscription T5, 2.0L I4 16V Turbocharged, AWD, Alloy wheels, BLIS Blind Spot Information System, Power moonroof, Steering wheel mounted audio controls.Ken Garff Hyundai Southtowne is honored to offer this attractive 2018 Volvo S60 Inscription. T5 AWDBuy with confidence from Ken Garff Hyundai. Don't be fooled by used car dealers that buy the vehicles that don't pass our stringent 150 point inspection. We take pride in selling better cars for less. We check our prices daily to guarantee you the best value around. That is why people fly in from all over the country to take advantage of our great cars at great prices..
One Owner!! Low Miles!! AWD!! Certified by Volvo 5-Year Unlimited Mile Warranty!! Leather Interior!! Sunroof!! Heated Seats!! Navigation System!! Backup Camera!! Blind Spot Information System (BLIS)!! Parking Sensors!! Bluetooth!! Sirius/XM Radio!! Parking Sensors!! Super Clean!! Excellent Value!! Call our sales team at 888-598-5227. AWD!! Certified by Volvo 5-Year Unlimited Mile Warranty!! Leather Interior!! Sunroof!! Heated Seats!! Heated Steering Wheel!! Xenon Headlights!! Navigation System!! Backup Camera!! Blind Spot Information System (BLIS)!! Parking Sensors!! Bluetooth!! Sirius/XM Radio!! Super Clean!! Excellent Value!! Call our sales team at 888-598-5227. One Owner!! Low Miles!! AWD!! Certified by Volvo 5-Year Unlimited Mile Warranty!! Leather Interior!! Sunroof!! Heated Seats!! Navigation System!! Bluetooth!! Backup Camera!! Sirius/XM Radio!! Super Clean!! Excellent Value!! Call our sales team at 888-598-5227. AWD!! Certified by Volvo 5-Year Unlimited Mile Warranty!! Leather Interior!! Sunroof!! Heated Seats!! Navigation System!! Backup Camera!! Hands Free Power Tailgate!! Seating for 7!! Bluetooth!! Sirius/XM Radio!! Super Clean!! Outstanding Value!! Call our sales team at 888-598-5227. One Owner!! Low Miles!! AWD!! 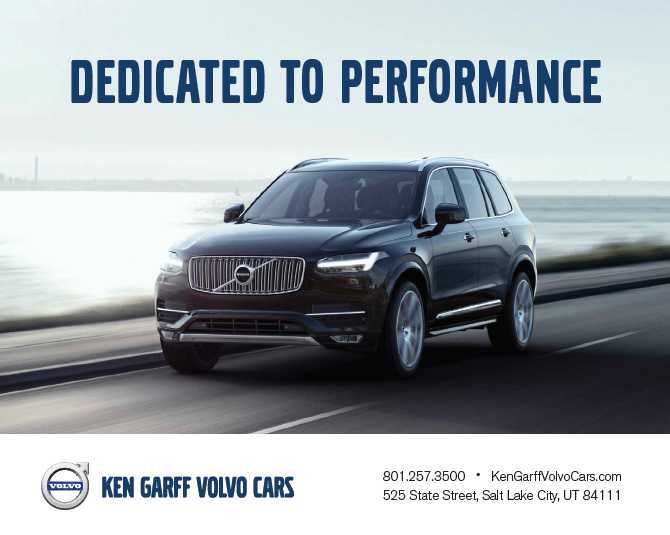 Certified by Volvo 5-Year Unlimited Mile Warranty!! Leather Interior!! Sunroof!! Heated Seats!! Navigation System!! Backup Camera!! Parking Sensors!! Bluetooth!! Sirius/XM Radio!! Super Clean!! Great Value!! Call our sales team at 888-598-5227.